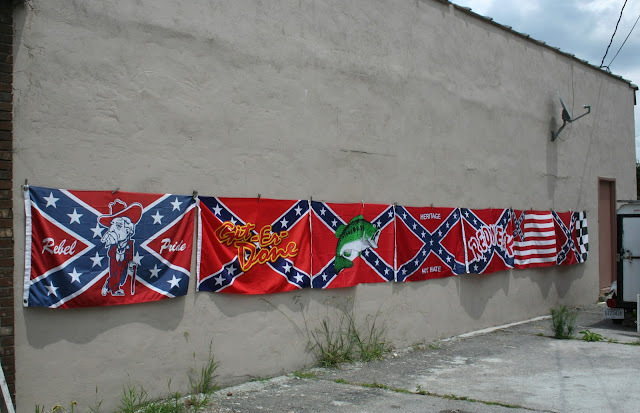 Over the Fourth of July Holiday I did a little backwoods driving and shopping. I stopped by a little local convenience store with an unfortunate name. Its called Rapers. 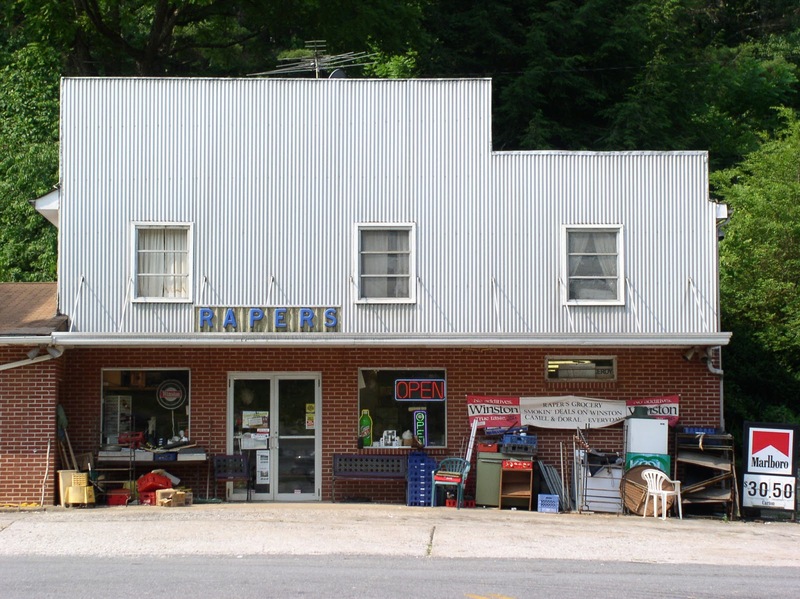 Rapers is a store in Turtletown, TN that is actually a cross between an convenience store and a antique shop. Inside it slightly resembles an episode of hoarders. There are piles of boxes and random items and about 1/4 of the store is so piled with stuff that it is completely inaccessible. There is a shoe section in the back of the store that the owners appeared to have forgotten about behind a pile of old clothes. Its a crowded mess, but quite impressive none the less. Speaking of odd names, head a few feet over the state line in Tennessee you come across a little roadside bar, which everyone assumes is named "Beer". 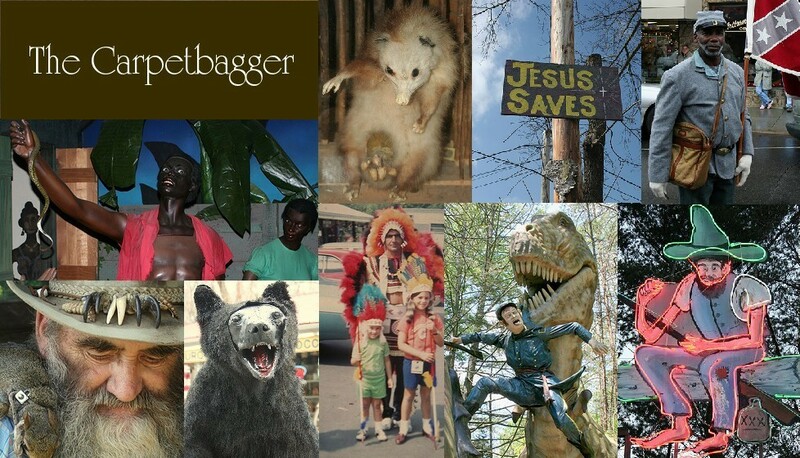 They have no other signs. A few miles down the road I headed into the Copper Basin and into the small town of McCayesville, GA where I came across this little establishment. I didn't catch the name of the place, but their specialty seems to be confederate flags. 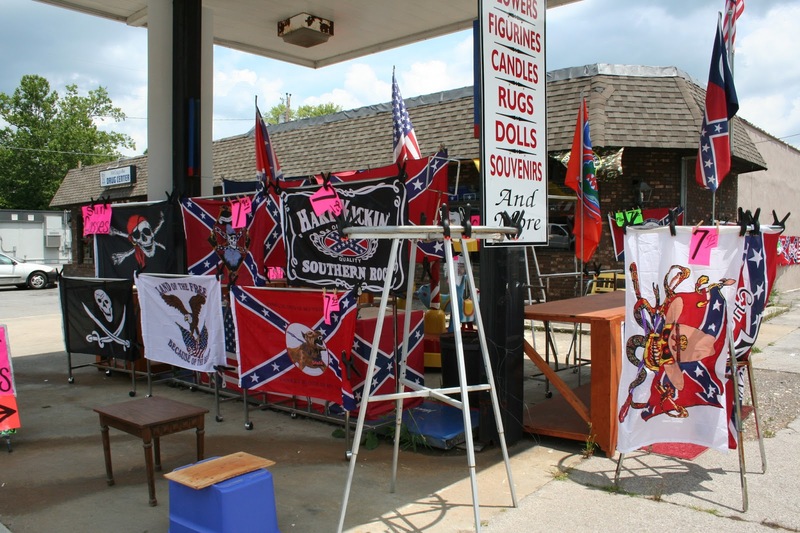 Inside you can get about anything you want with a confederate flag on it. Like these cute little guys. And of course if you are having nightmares about reconstruction you should buy yourself one of these nice little rebel dream catchers. I feel I should also point out that this store sold artificial funeral flowers that they kept in a creepy plywood backroom. Complete with creepy baby casket.